This week we are continuing with the F.I.T.S. (Freelancer In The Spotlight) Series on Wording Well, and the “Freelancer In The Spotlight” today is Tom Bentley. When I was seven or eight years old, I’d walk to the nearby public library, and go into the section on dinosaurs. I would lie in the aisle for hours, surrounded by scattered stacks of books, driving through a landscape of imagination, fueled by words. At first, I was simply thrilled by the stories of the great beasts, but after a time, I began to realize that I was taken by the words themselves—Jurassic, Triceratops, Tyrannosaurus—and would say them softly aloud. Many, many books later, it began to dawn on me that books were the conscious, choice-making work of authors. I started to fathom that a writer employed tools, framed a composition, shaped its architecture. Deeper yet, that writing had a voice, that it was animated by a current. When I was twelve years old, I was swimming in the ocean when I was tugged out by a small rip current that took me, amidst slamming waves, against the supports of a public pier. I screamed for help at the people looking down at me; no one seemed to react. I was terrified that I would die, while enraged that no one cared. In my agitation, I didn’t know that someone had called a lifeguard, who quickly rescued me. Months later, for a class assignment, I wrote an essay in which I described in detail my fear, fury and despair. My teacher later read the story aloud, saying it was a vivid slice of life. At the end of the year, the school handed out student awards, and I was given a little cloisonné pin that said “Best Writer.” I knew before then that writing had an unusual power over me, but the commendation told me that language, even my language, could hold sway over others as well. More and more, I came to see that the world of imagination is the biggest world there is, and that a writer can write to see the unexpected, to know the hidden, to do as Asimov suggested and “think through his fingers.” And that words can be so sensual you want to lick them. I saw evidence everywhere that people were storytellers. They have been storytellers for ages, whether the words were inscribed on resistant stone, delivered in a lilting voice or caught in an electronic dance. I knew I wanted to be a storyteller too. However, I was still striking the anvil of ideas with brute blows, yet to learn the deft stitchings and tight knots in narrative’s fabric. But I wasn’t discouraged enough not to write. I thought of those words when, 25 years ago, the San Francisco Chronicle accepted my article on my long correspondence with the Jack Daniel’s Distillery, publishing it in the beloved Sunday Punch section. I bought 10 copies, and sat on a bench in Golden Gate Park just staring at my byline, not even reading the article. Sitting on that bench, in my quiet ecstasy, I knew my little lines weren’t literature, not the stuff of Lear’s stormy fulminations, of Conrad’s lurid Congo, of Twain’s beckoning twang, but for me, word magic enough. That essay’s publication made me feel like I might be, was becoming, could be a writer. Ten years later, receiving a beautiful glass plaque (and a tidy sum of money) for winning the National Steinbeck Center’s short story contest, I was sure I was a writer, but I wasn’t convinced that I would ever be a great writer. Now, I know I am a writer, and I can leave the “great” part for someone else to ponder. I know that my best writing is yet to come. I don’t loll that much in library aisles anymore, but I’ve continued to be surrounded by words for most of my working life. I’ve gone from being a copyeditor for a big software company to being an in-house tech and marketing writer for a smaller software company to freelancing as a tech writer/editor for 10 years, back to being an in-house writer for a travel company and back to being a freelance editor and writer for the past several years. Whew! I write and edit web content and the full range of marketing collateral, write for business blogs, and edit book-length documents. I’ve also published hundreds of articles in newspapers, magazines and online, had a book of short stories published by a small press, self-pubbed a novel, and am working on an agent for my second novel. A percentage of my clients are in tech, some in small-to-medium small businesses, and some are individual authors who need various levels of book editing. I’ve pondered trying to establish a particular niche (“I write reviews of soft cheeses for foodie magazines”), and have been told by successful writers that having a specialty is the key, but my writing interests have always wandered. Writing variety keeps me intrigued, and often fulfills my curiosity about a world of subjects I wouldn’t encounter otherwise. By no means am I making a killing, but the living isn’t killing me. I get to bike ride at lunch, and I start and stop working when I please. Best of all, I get to shape ideas with words—and get paid for it. That’s as close to magic as I’ll get. And with the wonders of the Internet, I can go on house-sitting jaunts around the world: as long as they have good wi-fi, I’m in. I’ve house-sat in Panama, the Bahamas, and just came back from 3 weeks in San Miguel de Allende, Mexico. Yes, I was working during those stints, but was also able to get out and see some intriguing places. The reason the Jack Daniels pitch resonated with the editor was simple: it was a great story and I spelled out its appeal. I led my pitch to him with the article’s first paragraph, which is a good way to grab an editor off the bat, and which has so much more life than the “Hi, I’d like to write an article for you about …” query. Editors like specifics: You aren’t pitching an article about bats; you’re pitching a piece about bats who flood out of their caves only when Jay-Z’s music is loudly played at the entrance. But don’t burden an editor with a 5-paragraph description of your article’s content—give ‘em that first paragraph, and then a few key bullet points on article scope, your brief bio and your reiteration of how your piece would have the audience of Bat Aficionado Magazine twitching their antennae. I’ve been writing for Airstream Life magazine for 10 years, and for The American Scholar for a couple, and besides the matter of being able to write a decent story, the key there is that I deal with the editors as human beings. I respond to their editing suggestions (you’ll get those), make every deadline (you’ll get those too) and accept any rejections (oh yeah, you’ll get those too). After doing this for a long time, I know that editorial rejections (and silence, much worse) are just part of the game. You have to be thick-skinned: accept that it doesn’t reflect the quality of your writing—which you should always be trying to improve anyway—but that it’s a business decision, out of your purview. Move that query on to the next likely editor, and if needed, on again. There’s plenty of writing advice out there that’s more succinct and pointed than mine. I suggest subscribing to the blogs at Make a Living Writing, The Renegade Writer, The International Freelancers Academy, and Mridu Khullar for stellar advice on all aspects of the freelancing life. 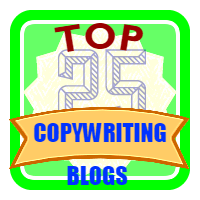 And peeking at Copyblogger now and then for copywriting advice, which can help marketing yourself and your work. Fiction writers: be advised that great writing advice is for the absorbing (and a warm writing community breaks electronic bread daily) at Writer Unboxed. I think paddling about in the murky waters of job listings like Craig’s List and Elance is only going to get mud on your shoes: too many low-balling jobs. I’ve had better luck being picky and choosy on sites like Contently, Ebyline and Skyword. A good referral can go a long way—I don’t look at fellow writers and editors as competition, but as colleagues and potential collaborators. A great number of the book-editing projects I’ve gained have been from referrals from other writers I’ve met in the digital universe. Speaking of other writers, read broadly: fiction, essays, business books, comic books, your daughter’s love letters to her cat—the range of human expression is vast, and there’s always something to learn from another author’s approach. And speaking of digital universes, you should have your own and keep it tidy. By that I mean all writers should have their writer’s website, showcasing their work. Whether you choose to blog or not, and even if you’re a maniac on Twitter, Facebook or elsewhere, you need your own piece of digital sod to call your own. The best advice I can give freelance writers is to have rich relatives. Barring that, be kind, be generous, and when you’ve accepted that project, get it in writing. You can see my lurid website confessions at The Write Word. Do you have your own writer website yet? Thanks, @TomBe­ntleyN­ow, for this #freelancing advice! God I love this. Such a great post. I love how words can be art. For me, born visually impaired, they are the most beautiful art I know and I am so glad I have them in my life. Thanks, both of you, for first writing and then sharing all this. So many wonderful tips. I will bookmark this. I have thought about going into freelance writing and this contains everything I could want to know, all summed up in one blog post. Thanks again. Tom is an eloquent writer, and it’s nice to know his words are appreciated as well. Kerry, wow, I’m so happy you got some good stuff out of the post. I very much appreciate the warm words, and wish you the best in your freelance pursuits. Max, sorry, I hadn’t seen this comment until today! The house-sitting has been remarkable in the beautiful places I’ve gone, though there have been some challenges. I’d suggest checking out mindmyhouse.com, which has listings for house-sits all over the world, some just for a week, some for six months or more. The requirements for the sitting really run a range, from merely being in the house for security while the owners are away to pretty much rebuilding the place. I’m uncertain if the site accommodates people with visual challenges, but whatever means you used to read my post would probably work there. And thank you very much for the nice words about my writing. Martha, glad you weren’t repelled by that line—some folks might think it’s a bit much. (Or they might think that a lot of words wouldn’t taste very good.) I do appreciate you reading, and taking the time to comment. “And that words can be so sensual you want to lick them.” Great line, Tom. Loved hearing your story and all the tips! 🙂 Thanks for your comment. In the well again! I’m not a freelance writer/editor, but I enjoyed reading this, Tom. So many wonderful little tales here about your life which were entertaining in themselves while demonstrating aspects of a writerly life. 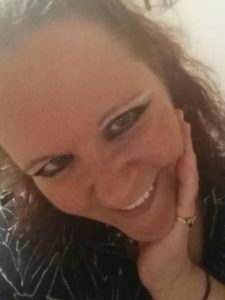 You have a talent for weaving beautiful prose and instilling it with effortless wit and humor that is always enjoyable to read. The publication of your JD article made me smile, picturing that moment you had, a moment I’m sure every writer looks forward to or looks back on and never forgets. What a terrifying experience you had, especially as a child. I almost drowned in a swimming pool as a kid and I’ve been claustrophobic of water ever since. I can’t imagine though being swept away by a strong current. Makes me shiver. “They have been storytellers for ages, whether the words were inscribed on resistant stone, delivered in a lilting voice or caught in an electronic dance.” That’s absolutely beautiful. Sounds like you’ve accomplished much to be proud of and I wish you luck as you continue on your writing journey. Thank you for entering my name 🙂 And, no problem, my pleasure. I enjoyed reading. Siofra, that’s such a generous comment—thank you! But you are fibbing a bit, because I know from reading some of your online stuff that you are indeed a writer—might as well claim it, because it’s yours. And I wish you luck, pleasure and knowledge back at you, on your own writer’s journey. I’m not being generous, Tom, I’m speaking the truth! *gasp* I never fibbed a fib in my life! Haha 🙂 I am flattered you called me a writer, I’m trying. Just started working on the 2nd draft of the story I feel has the potential to establish me as a writer, so this was encouraging to hear, thank you. Lorraine, thanks so much for giving me the chance to spout off—I’m normally not that talkative, unless I’ve had a couple of martinis. I appreciate the opportunity to be a part of your site!